All photos courtesy Samaritan Aviation. Mark Palm thinks he knows what Jesus might do if he were a pilot. 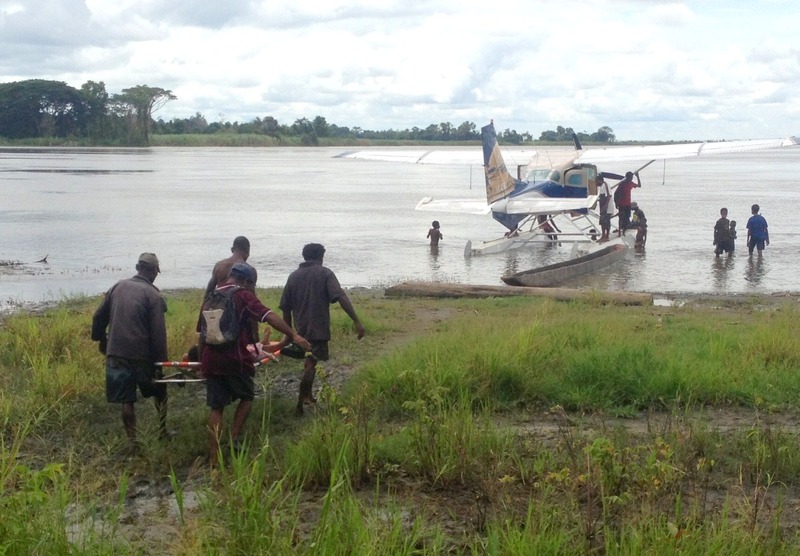 He might climb into the left seat of a Cessna 206 Amphibian and fly the 700 mile long Sepik River in Papua, New Guinea helping transport the sick to the region’s only hospital. It must feel a bit like being God, and not in a good way, when Palm and others with the medical transport charity Samaritan Aviation have to dispassionately triage passengers before giving them a ride on the air ambulance. Only those at risk of death– but not so close to death that they are unlikely to survive – can fly. There are no beds in the hospital for the dying and not enough space, medicine or physicians to offer comprehensive treatment to everyone who might benefit from it. Practical realities must be considered by those who would play God in New Guinea. Even so, Palm says Samaritan Aviation which he operates with his wife Kirsten has been able to make a difference. Since the float-equipped Caravan The Spirit of Paradise began flying on the river in 2010, residents with broken backs and toxic snake bites, spear wounds and complex pregnancies have been delivered to Boram Hospital in Wewak in an hour or less by air. The alternative would be a multi-day journey by canoe. “We’re the only service like that in the entire country. It's unique service we offer,” Palm said. In parts of the developed world, the inability to pay for medical care doesn’t influence its delivery, nor is there too much thought given to the fact that a patient occupying one bed means another will not be treated. I’ve written at length about emergency medical helicopters in the United States and the financial incentive the for-profit companies have to fly non-critical patients after which these unsuspecting patients are shocked to receive bills for $12,000 or more. It is a completely different calculation in New Guinea. 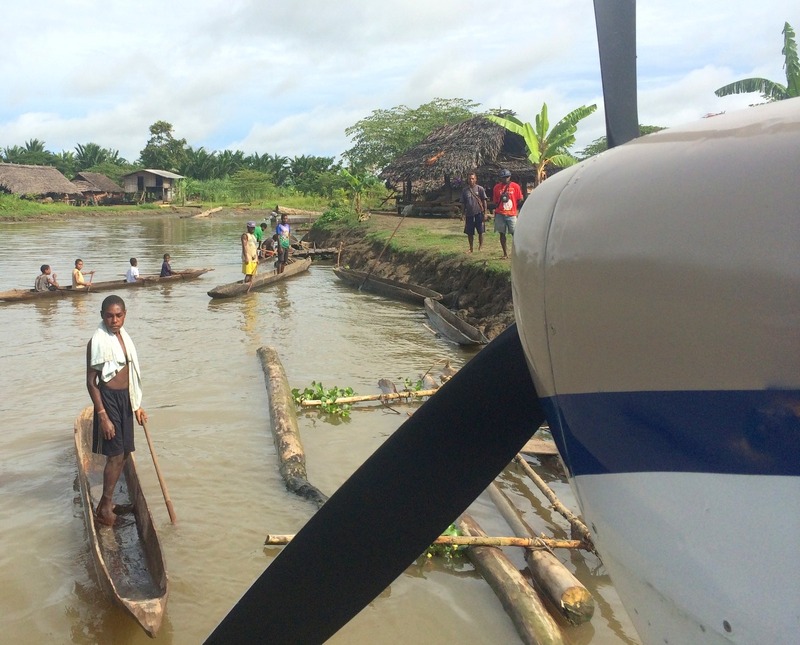 Samaritan Aviation’s $850,000 yearly budget comes in part from the New Guinea government with a roughly equal amount of support coming from donations. The budget has grown as Samaritan expands with the addition this year of a second Caravan and a pilot to fly it. Now, during a five month home leave Palm is telling the story of his mission to anyone who will listen - trying to encourage contributions. And it being Christmas, the story of Samaritan Aviation has babies front and center. “Sixty five percent of the lives we save are mothers and babies.” On one particularly fertile week on the river earlier this year Samaritan flew four women carrying twins to the hospital where all delivered healthy newborns. At Christmastime, or anytime, that’s inspiring, and an improvement in comfort if nothing else from the story of Mary - nine months pregnant - hoofing it to Bethlehem on a donkey. 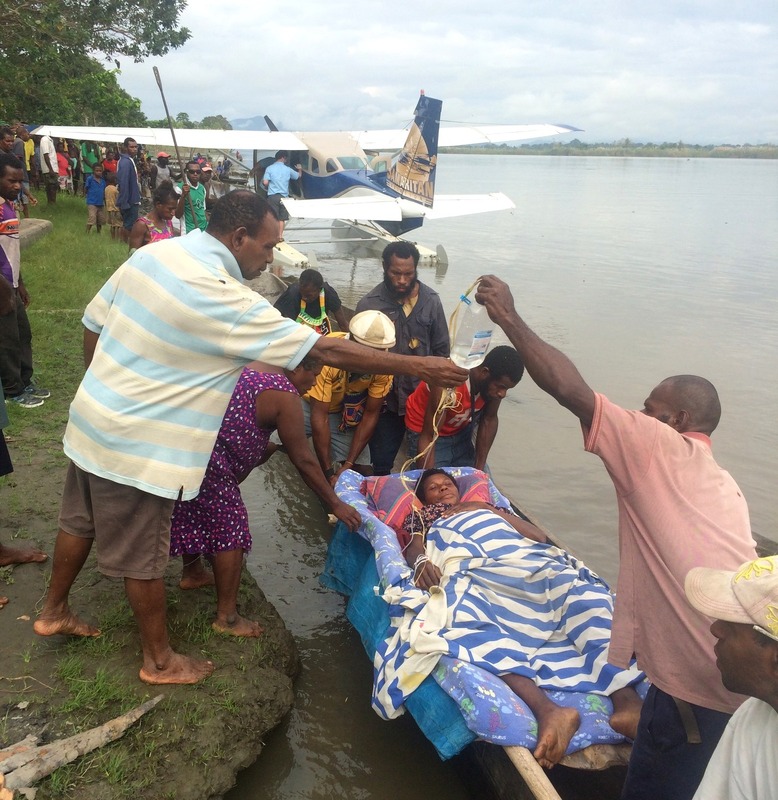 In Papua New Guinea, people in need of emergency medical care, “don’t see us, they don’t see America. They see the hands and feet of Jesus in action," Palm told me. “If Jesus was a pilot?” I ask. 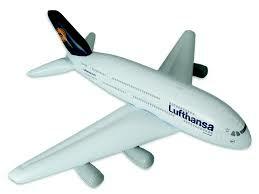 If Jesus was a pilot, that’s what he would do. Read more about Samaritan Aviation including how to donate by clicking here.